The board-certified spine and neurosurgeons at ProMed SPINE in Encino provide the most technologically advanced, minimally-invasive treatments available for spine disorders, injuries, and pain. Our surgeons strive to use the least intrusive means for helping patients achieve the best outcome and fastest recovery possible. Whether facing degenerative disc disease, spinal deformities, infections, or injuries, ProMed SPINE is the best spinal surgery center for comprehensive care and treatment.To learn more about the renowned spine surgery specialists at ProMed SPINE, please contact us today. Our Encino office is located at 16311 Ventura Blvd, #1065, Encino, CA 91436 in the San Fernando Valley. At ProMed SPINE, our exceptional back doctors are highly trained and experienced at performing minimally-invasive laser spine surgery for ensuring the best possible results and shorter recovery times. Using only the smallest incisions necessary, our surgeons are able to treat a wide range of spinal conditions without having to damage surrounding muscles and tissue. Dr. Gravori and his team utilized endoscopic cameras and specially designed instruments that can be inserted through small incisions to safely access the spine. This technique also allows the surgeons to perform laser spine surgery to make precise incisions in very specific, hard-to-reach areas of the neck or back without harming the delicate nerves of the spinal cord. Laser technology and minimally-invasive techniques have revolutionized spinal operations such as cervical spine surgery on the neck or lumbar spine surgery on the lower back because these locations are the most likely to develop degenerative issues or injuries that result in severe nerve damage. Taking the least invasive, but most precise approach to addressing conditions in the neck or lower back means that patients have a higher chance of returning to normal function without complications. To learn more about spinal surgery, please visit Wikipedia.org. Not only are Dr. Todd Gravori, Dr. Murisiku Raifu, and Dr. Frederic Edelman skilled surgeons, but they work with the most state-of-the-art equipment and facilities. ProMed SPINE’s boutique practices offer the most comfortable accommodations available for the highest quality patient care, in addition to the most technologically advanced surgical procedures and treatments. We believe in providing comprehensive one-on-one care to each and every patient to ensure that each patient receives the care and attention they need to address their concerns. We take the time help our patients understand what to expect as well as how to prepare for back surgery in order to get the best possible outcome. 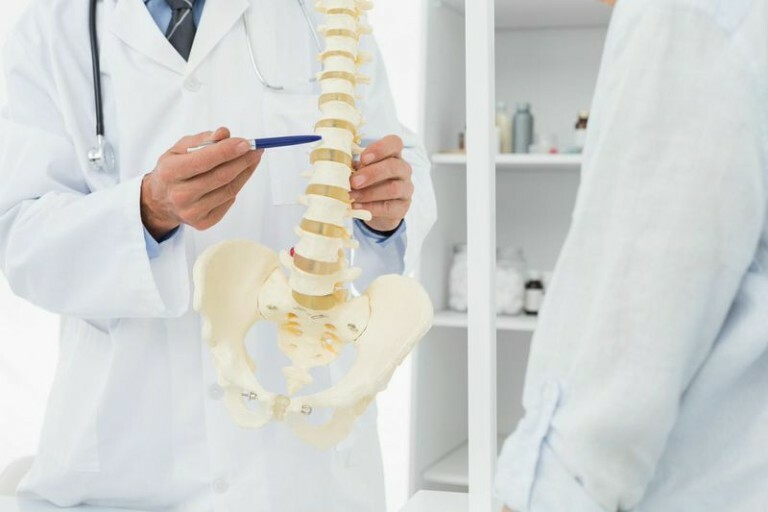 We believe that surgery is always a last resort and will work closely with each patient to determine whether a conservative treatment method is the best option for his or her spinal condition. Located just outside central Los Angeles and north of the Santa Monica Mountains, Encino is a relaxing and welcoming city that features expansive natural spaces as well as suburban shopping plazas and historical sites. Our Encino office is situated just a few blocks away from the sprawling Sepulveda Basin Recreational Area, where our patients can enjoy the sunshine and fresh air over a round of golf or while taking a walk around Lake Balboa. Our Encino office is conveniently located for residents of San Fernando Valley and out of town patients alike who want the highest quality care and treatment without the hassles of getting around in a major metropolis. Our compassionate, courteous staff are here to take care of your travel and accommodation needs, ensuring that you can fully relax and unwind regardless of whether you are visiting us for a consultation or a spinal surgery. If you or a loved one has been struggling with neck or back pain, schedule a consultation with the back specialists at ProMed SPINE today to receive an accurate diagnosis. Our team can develop the correct treatment option to help relieve pain and restore mobility, whether with physical therapy or artificial disc replacement surgery. Contact our back specialists today to make an appointment! Next, learn about spine surgery in Valencia.